As Indian women, the one treasure we simply refuse to part with is a collection of beautiful sarees. We adore it just as much as our food, and all mothers horde them till their daughters come of age to do justice to these dream weaves. Of course, that is an exaggeration, but nevertheless partly true. No woman can deny that she hasn't been eyeing her mother's or grandmother's saree collection, especially the traditional silks, ever since she was a little girl. The silks have an ethereal feel to them and the fabric alone speaks of the insane amount of work that has gone into creating these masterpieces. Silk sarees are classic essentials and many different varieties are created all over the country. Each is exclusive in itself and is made using a traditional technique unique to the region. One such absolute beauty is the Uppada Jamdani saree. This is a style woven in the Uppada region of East Godavari District in Andhra Pradesh. The Uppada sareesare known for their light weight, and gorgeous lustre. The Jamdani style of weaving is over three centuries old and originates in Bangladesh and came to India when Bangladeshi weavers came and settled in Uppada. The beauty of this weave lies in its design that can be worn on both sides, unlike any other saree. Though it saw a sharp decline in popularity in the 19th century during the industrial revolution, it was revived during the 20th century. 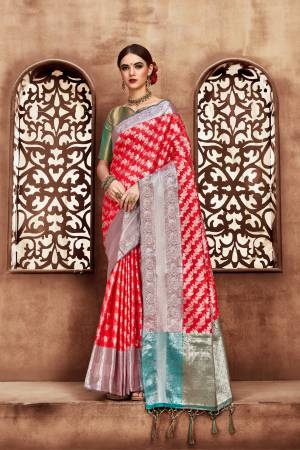 Today, because of the revival of ethnic Indian wear all over the country, it is one of the most coveted drapes by saree enthusiasts, and are worn for traditional ceremonies and important events. Today, a sole community called the Padmasalis in Uppada are responsible for creating the Uppada Jamdani sarees. The length and breadth count is 100 threads each and takes 2-3 weavers per saree who have to work for over 10 hours for two months to create one saree! Such intricate work and exclusive designs contribute to the price of the saree which begins at Rs5000 and ranges over Rs20,000. New weavers are difficult to procure because it takes a long time to familiarize one with the process. If you are someone who is searching for excellent Uppada sarees, browse through Craftsvillaâ€™s range of beautiful Uppada sarees online. 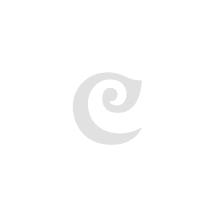 Craftsvilla has designs ranging from traditional weaves to modern designs. These intricately crafted sarees are original pieces from the town of Uppada. The craftsmen have created a special monsoon collection of Uppada sarees which in one word are simply beautiful. They combine the fluidity and romance of the weather with the glamour of the silk and contribute to make one stunning piece. Add one more novelty to your beautiful saree collection with Craftsvillaâ€™s range of beautiful Uppada sarees. Fall in love with these weaves as you browse through our online collection. So, get ready to stand out in a gorgeous Uppada Silk Saree.